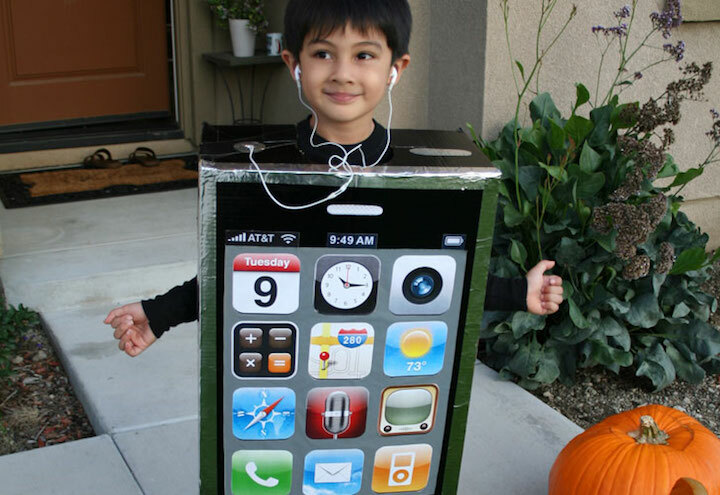 Scroll down for fast and easy Homemade Halloween Costumes. 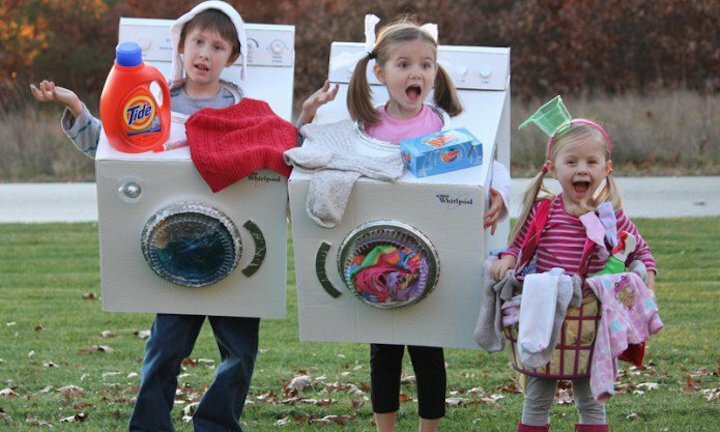 These costumes are made from easily found objects such as printer paper and cardboard boxes. All it takes is a bright idea. All the materials needed for executing these Halloween costume ideas can be found in your house, or on ebay, or at local thrift shops and craft stores. For a quick and creepy Halloween effect, you can print out the wild, staring eyes shown above, or any other freakish facial designs you can dig up. For an eye mask, adjust your page to the horizontal (landscape) setting before printing. When printed, cut the entire long length of the page in a thick strip. Cut small holes in the eyes for you to see through. Punch a hole on each side of the strip and attach one end of a cut rubber band through each hole. Then knot the ends of the rubber bands to hold the mask in place when you wear it. Improvise your own printable masks. Be creative! 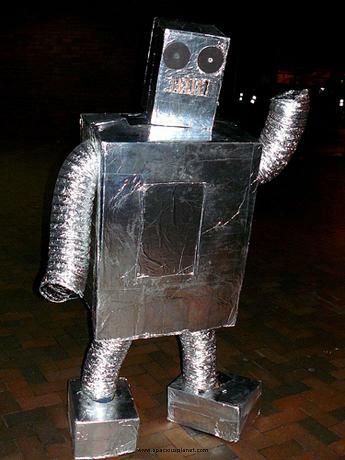 A typical robot costume (such as the one shown below) is made by using two large boxes for the head and body, two shoe boxes for the feet, 6 feet of dryer duct for the arms and legs, and plenty of aluminum foil or silver spray paint. You can also glue plastic bottle tops to the front of the body to look like the buttons on a control panel. Eye and mouth holes can be covered with thin screening. 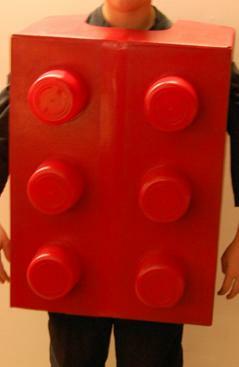 A LEGO block costume (also shown here) is even easier to make. Simply glue six medium sized plastic bowls to the front of a large cardboard box, then paint the whole thing one color. You can even make a cute matching hat by using a smaller box with a single bowl glued to the top of it. 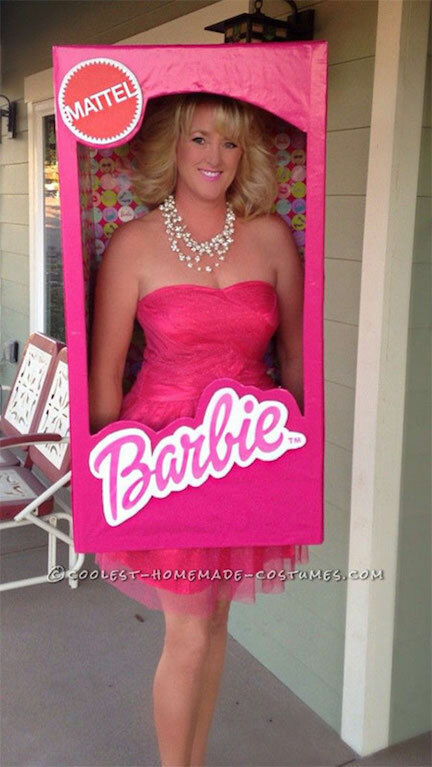 Other fun box costume ideas include dice, cars, buildings, locomotives, playing cards, furniture, TV sets, and computers, to mention only a few. Visit any of the links shown on this page to view a broad selection of Halloween activities, cool designs, tattoo art, and many other assorted free printable items. Go here for more Free Printable Graphic Designs.